There exists on BattleTechWiki four types of written pages that are not considered mainspace articles: policies, essays, procedures and projects. Each one of these serves a specific purpose and they each reflect Editor consensus (which may change). This essay defines the roles each one fills on BTW and the marking structure employed on each. Policies can best be described as the regulations, governing practices and/or guidelines that BattleTechWiki tries to follow in order to help identify and resolve problems, guide Editors to the end mission of BTW and settle disputes. They are each the result of site experiences, lessons learned at similar wiki sites (most notably Wikipedia, pre-prepared responses for anticipated issues and, most importantly, the consensus of BTW's Editor base. When policy is quoted as an answer to a dispute, it may be answered that the policy no longer represents the consensus. Similarly, the policy may not (yet) be geared to address the current issue. In these cases, consensus determination should be sought (preferably on that policy's talk page, rather than the original point of debate), using the Lengthy Discussion method due to the far-reaching influence a changed policy may have upon the site. It is recommended the discussion be advertised where appropriate, in order to increase the circle of interested parties. New policies may be drafted by one or more Editors; however, when the policy is determined to be ready, it too should be advertised prior to release, to seek comments and then consensus. Not to be confused with BattleTech Essay articles, which deal with a BattleTech subject matter as opposed to issues of the Sarna.net BattleTechWiki itself. BattleTechWiki Essays are pages written by one or more Editors (working in collaboration) to explain their perspective regarding an administrative facet of BattleTechWiki. While oftentimes the essay may have site consensus, it is not a requirement for a posted essay. Where opinion differs, a counter BattleTechWiki Essay may also be presented (and each may respectfully reference the other as a counter perspective). BattleTechWiki Essays are often referenced in issues or disputes, much in the same way as policies. However, they should be referenced in an attempt to either educate or sway opinion, not necessarily as 'the answer,' as a policy may. When referenced, the opposing interested parties may respectfully state the essay does not truly apply, along with why it does not. It should be remembered that BattleTechWiki Essays are to be seen as tools of explanation or as a method of persuasion. They do not hold the power of 'law,' as policies do. As is true of policies, things change. Unlike policies, however, which should be modified and adapted, when site consensus towards a BattleTechWiki Essay changes to a large extent, a new BattleTechWiki Essay should be crafted and released (with the older BattleTechWiki Essay possibly marked as 'retired'). It is to be remembered, despite the site's consensus regarding the essay's validity, that it is the written opinion of an Editor (or group of Editors) and opinions cannot be invalidated. Note: oftentimes, BattleTechWiki Essays are future policies in disguise. In other words, calls may be made to 'promote' a BattleTechWiki Essay that enjoys strong consensus, or where consensus exists for a needed and related policy. In this case, future changes should be made with consensus, just as with any other policy. 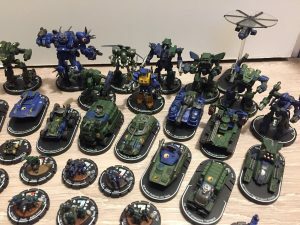 This essay contains the advice or opinions of one or more BattleTechWiki Editors regarding interacting on the wiki. BattleTechWiki Essays may represent widespread norms or minority viewpoints. Consider these views with discretion. Consider discussing potential changes on the talk page first. Procedure pages are articles written with the intent to guide Editors step-by-step in the completion of a task. The procedures should be written to make the process as simple as possible. A new Editor only needs to be directed to the actual Procedure's page in order to start a new article or adapt an existing one, with the end result of an effort that compares easily to those done by other Editors. Procedure pages are less consensus-driven than policies, for standards have generally been set up by the time procedures are written. However, if standards change (ex: a 'Mech infobox has the designers' names added as a possible field), then it is vital the associated Procedure page is updated to match. Otherwise, Editors not in the know will be frustrated by Editors in the the know who are equally frustrated by articles that continue to fail to meet the new standards. Projects are pages that help guide collaboration of like-minded Editors on tasks they have in common. The most familiar form is a WikiProject, which is focused on developing articles to a consistent standard, using division of labor as a means of both motivation and developing (relative) expertise in a specific area of BattleTech knowledge. On this type of project page, there is usually a Project Lead, a project description, links to relevant policies, essays and procedures, tools and templates to be used, a self-evaluation system and a forum for group members to discuss all of the above. Other examples of projects exist, to include managing functions of the administration of the BattleTechWiki site, such as with the Awards Committee project. In that example, policies inherent to the project are provided, a database of awards is displayed and -again- a forum is present for member use. Projects are initiated by an editor who determines there is an area of interest that she or he shares with other Editors and in which is willing to undertake a collaborative effort. While there are no set procedures for the establishment of a new project, Project BattleMechs is a good example of the WikiProject format. Advertising for participation can be obtained on the Main Page via any willing Admin. 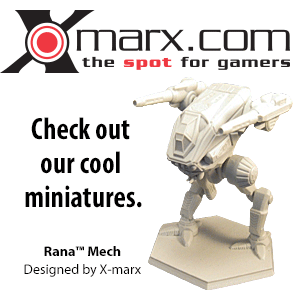 Projects are generally located on the BattleTechWiki namespace and all are in the Projects category. While there is no tag template shared by all projects, some are known to sport banners identifying their membership. This page was last edited on 10 January 2018, at 12:31.